Ed Voyles Honda has taken delivery of the new 2019 Honda Insight. This compact hybrid offers a new level of power, passenger space and sophisticated styling to the Honda lineup. The new Insight’s body, chassis and powertrain combination have been designed to offer a satisfying driving experience. With a total system output of 151-horsepower, the Insight delivers brisk acceleration not found in most other hybrids. 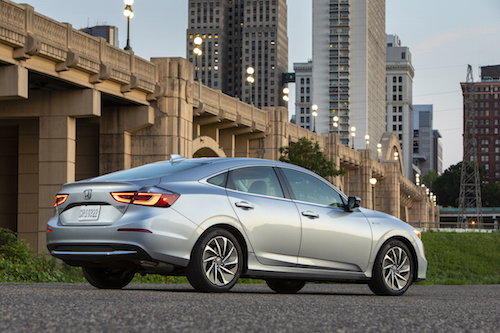 Powered by Honda’s third generation two-motor hybrid drivetrain, the new Insight operates without the need for a conventional automatic transmission. The powertrain uses power from the gasoline engine and electric motors to accommodate real time driving conditions. The new Insight operates in three distinct drive modes: EV Drive, Hybrid Drive and Engine Drive. When operating in EV Drive the Insight uses only the electric drive motor, drawing power from the battery. In Hybrid Drive the gasoline engine drives a generator motor to deliver electrical power to the drive motor. Either EV or Hybrid Drive modes are used for most driving conditions. However, when needed, the Insight uses Engine Drive to connect the gasoline engine directly to the drive wheels. 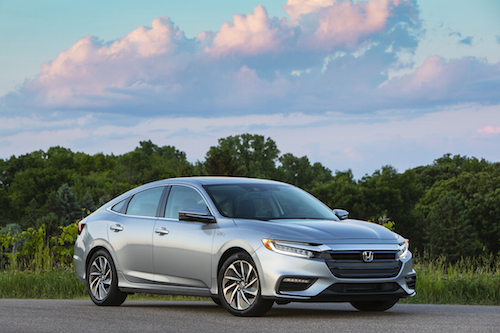 The new 2019 Honda Insight is offered at an attractive price point and is available with three different trim levels: LX, EX and Touring. 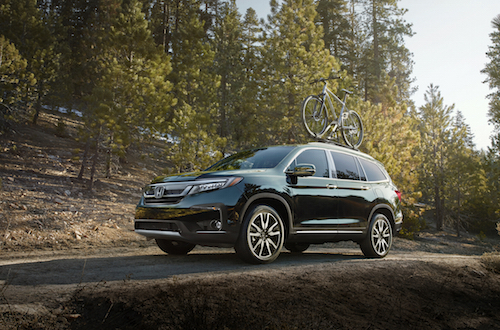 Standard equipment across all models include multi-element LED headlights, push-button start, and the Honda Sensing® suite of advanced safety and driver-assistive technologies. The EX model is equipped with an 8-inch Display Audio with Apple CarPlay™ and Android Auto™ integration. 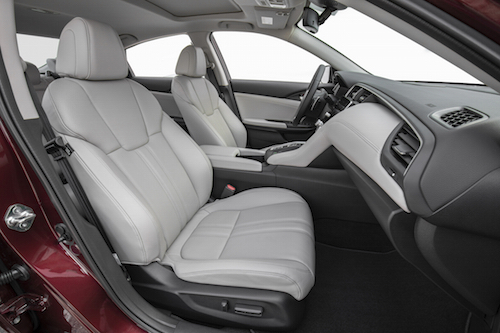 Insight Touring models include upscale features such as, leather seating surfaces, an 8-way power driver’s seat, Honda Satellite-Linked Navigation System™ and dual-zone automatic climate control. 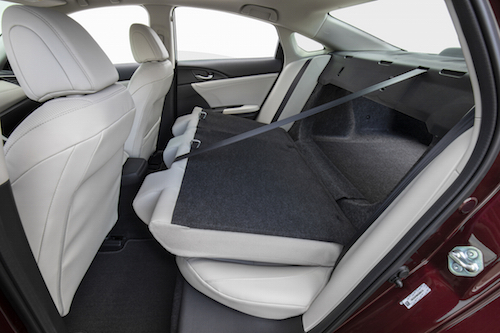 Clever placement of the Insight’s compact battery under the rear seats allows for expanded passenger and cargo space. 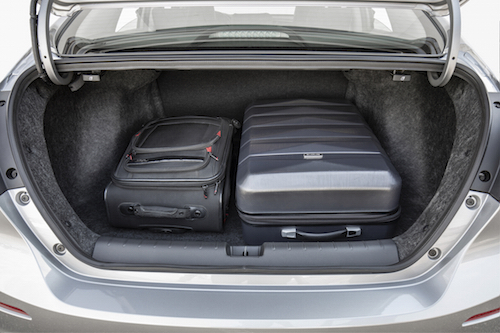 This new model affords up to 97.6 cubic feet of interior space and 15.1 cubic feet of trunk space (LX/EX models). A 60/40 split folding rear seatback also allows for versatile cargo space options including transportation of long or tall items. If you are comparing new hybrid vehicles we invite you to consider this innovative new model and take a test drive at our Honda Dealership near Atlanta, Georgia.